After a long, cold, and snowy winter, we’re all happy to see the days getting brighter. With Easter weekend just around the corner, it’s a great time to spend some time outside with family and friends. If you’re trying to get out without venturing too far away from the city, you’re in luck. Here are a few wonderful outdoor activities to do within an hour or two of Dublin that will provide you with the breath of fresh air that you surely need. Carol, one of our outdoor experts, recommends heading down to Wicklow. Glendalough is a popular destination for weekend hobbyists and professional outdoorsmen alike, the park is full of dozens of activities of varying difficulty. Carol and her family like to hike the Spinc, a challenging trail that takes you up the mountain beside Poulanass Waterfall. 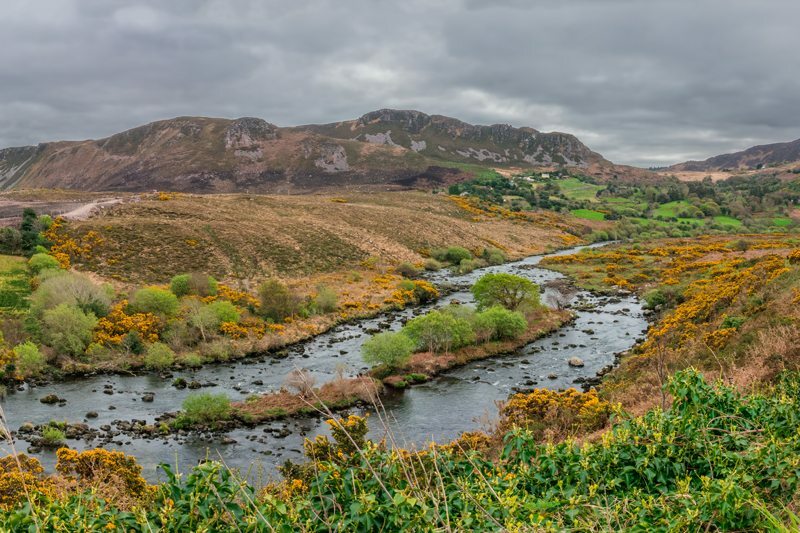 Depending on weather and your personal fitness level, the walk can take anywhere from 2 to 4 hours and offers some of the most stunning scenic views in all of Ireland. At the heart of the trail, there’s a viewing point that allows you to see the ancient lead mines, the towers from the graveyard, and a panoramic view of the upper and lower lakes–the best photo spot in the entire park. It’s also a great place to stop and eat lunch and have a warm drink, as the air can be quite chilly up that high in elevation. “Stick to the lower trails that go around the lake if you’re less experienced,” Carol recommends. They’re still beautiful and fun and are great for those with young children or dogs, plus there are plenty of places for a picnic. If you do tackle the Spinc, make sure you have a water resistant map and that you know how to use your compass, as the mist can set in and massively reduce visibility. On your way down, you might find rock climbers and boulderers undertaking some of the park’s notable rocks and on a nice day, you’ll surely find plenty of families out and about the lower trails around the lake. And the most important thing? “Always, always wear the right socks!” Carol’s personal favourites for this hike are Smartwool Hike Light Crew socks, which provide support and cushioning all through the trek. Glendalough is easily accessible from Dublin by car or the St. Kevin’s bus, which takes you from St. Stephen’s Green to the Glendalough visitor centre. There’s a large car park and plenty of places to shop, eat, and relax before and after your hike. For those willing to venture a little further out of the city, the Hook Peninsula on the southeastern tip of Ireland is an absolute “must-see.” Located about two hours south of Dublin in County Wexford, the Hook Peninsula is renowned for its famous ancient lighthouse, abundance of marine life, and stunning beaches fit for divers and beach-walkers alike. Gra, our in-house diver, surfer, and cliff-jumper highly recommends heading to Hook Head if you have a few days for a holiday. On the western side of the peninsula, you’ll find stunning beaches such as Dollar, Booley, and Duncannon, which are perfect for leisurely strolls and relaxing on the sand. There’s plenty of parking nearby and award-winning eateries for some of the best seafood in Ireland. The maximum depth around these areas is only 8 to 12 metres, so only go if you know what you’re doing. If you’re less experienced, there are still plenty of things to do such as surfing, kite-surfing, swimming, and snorkeling. There’s also great fishing on both sides of the peninsula and wonderful coastal walks. 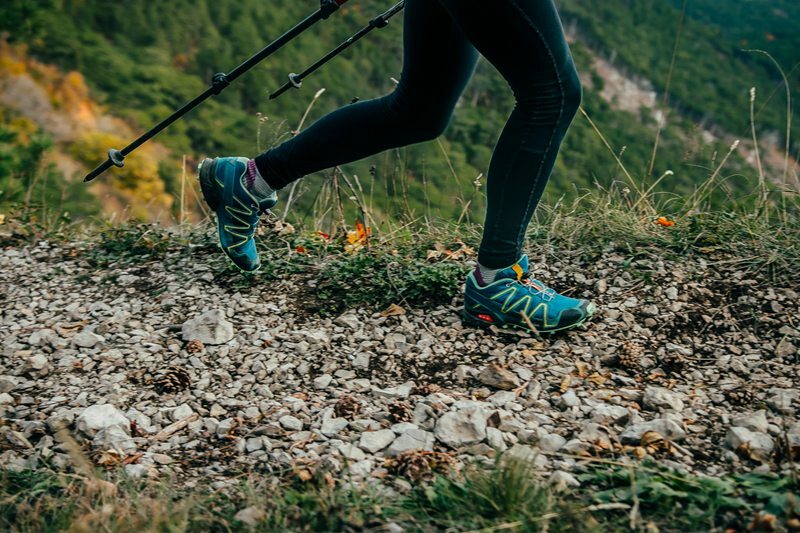 It can be rocky and wet, though, so make sure you have the right shoes. Gra uses a Rip Curl wetsuit when she surfs and another Rip Curl flash bomb suit for diving, which keeps her warm and also provides a bit of padding if a jump doesn’t go perfectly. “It’s important to bring a waterproof jacket, though,” she adds, as the wind can be biting and pierce right through your wetsuit. She uses one from Mountain Equipment. While you’re there, try to take some time to visit the Hook Lighthouse, the second-oldest operating lighthouse in the world. First constructed in 1172, Hook Lighthouse sits at the very tip of the peninsula and is open for tours and visitors. And if you’re feeling brave, take a tour of Lofthouse Hall, which is known as the most haunted house in Ireland. “Hook is so great, because wherever you go, there’s just a feel of people telling ghost stories around the fire,” Gra says. Hook Head is accessible by car, but you can take the Wexford bus from Dublin, and then take Bus Eireann route 373 to Fethard-on-Sea. Whether you’re ready to gear up for a cliff dive or to spend a leisurely afternoon walking through Glendalough, we have you covered with all you need. From maps to dive suits, Great Outdoors is eager to help you find the perfect piece of gear for your next adventure. Drop in to our store on Chatham Street or browse our extensive catalogue online!